← What? I’m moving to China? I live up in Wisconsin, so Chicago isn’t exactly close. Since the Chinese Consulate was heart of downtown Chicago, getting there isn’t easy, fun, or fast. It started with a 30 minute drive to a commuter train station, then an hour+ train ride into the city, then an Uber to the consulate (or a 40 minute walk like I did last time). They are only open for 3 hours in the morning, and 1.5 hours after lunch. How do I get to work those hours? Because of this limited opening time, there are usually a lot of people there. The crowd and waiting is reminds me of visits to the USA DMV. Tons of people, long waiting times, and generally slow response. 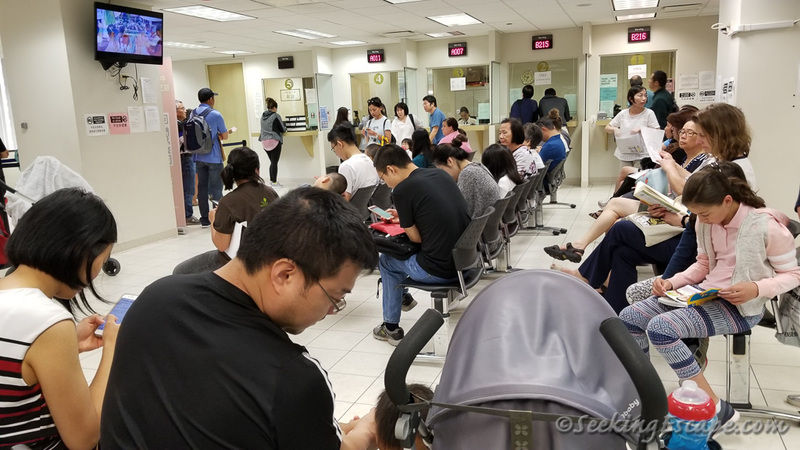 Here, there is one line for visa pick ups, 2 lines for Chinese nationals, and 2 lines for non-Chinese nationals. For some reason, the non-Chinese lines seemed to move the fastest. Despite arriving 10 minutes after opening, I had to wait one hour for my number to be called. I handed over my application, with zero errors, only to be told to have a seat (as if there were any left) and wait to be called up later. After some time, I was fingerprinted again and sent on my way. 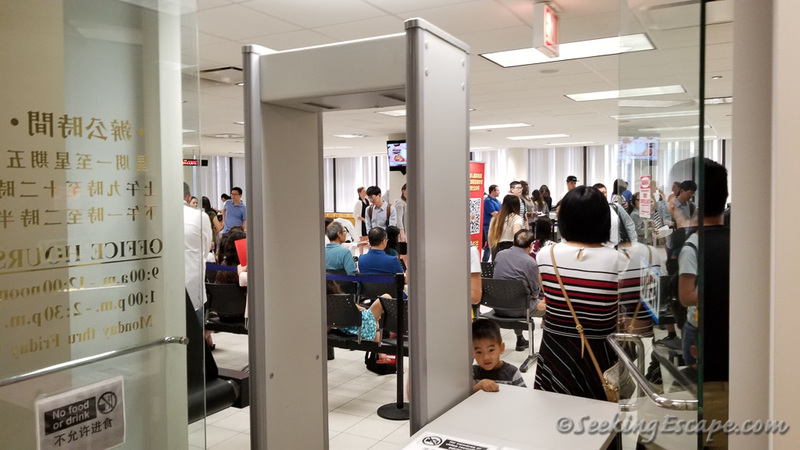 After another Uber ride to the Chicago Union Station to hop on a Metra train and drive home, it ended up taking 5 full hours of travel for 1 hour at the Chinese Consulate. I’m lucky I don’t have a day job. Oh wait, I do! Fortunately my employer understands I need to take time away from work to do this. Did I fail to mention that this trip was just earlier this week? And we’re leaving for China in 5 days? Good thing that the processing time is only 4 business days and I should have it with a day or two to spare before our flights! Nothing like cutting it that close! 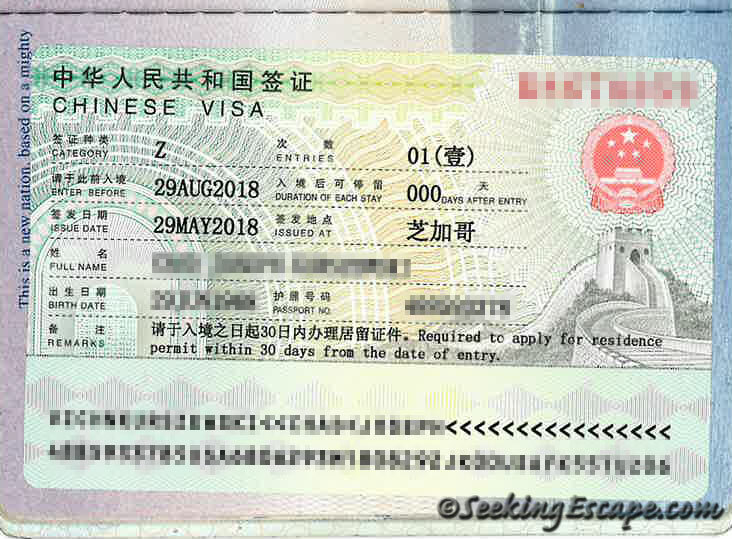 I hear that China is fairly strict on not allowing you to enter their country without a visa. The immigration attorney firm has picked up my visa on my behalf, sent me a scan of it, and will be FedEx’ing it to me. What’s this? Duration of each stay.. 000 days??!! So, they’ll let me enter the country, only to send me on a plane back home immediately? Surely this can’t be correct! Maybe those remarks “Required to apply for residence permit within 30 days from the date of entry” will let me stay longer than 0 days. Let’s hope so.